Come the holiday seasons and Sierra gets into the fine habit of re-releasing game packages under their Hoyle banner. In this installment, Sierra sets its sights on ubiquitous news-stand and pencil games. 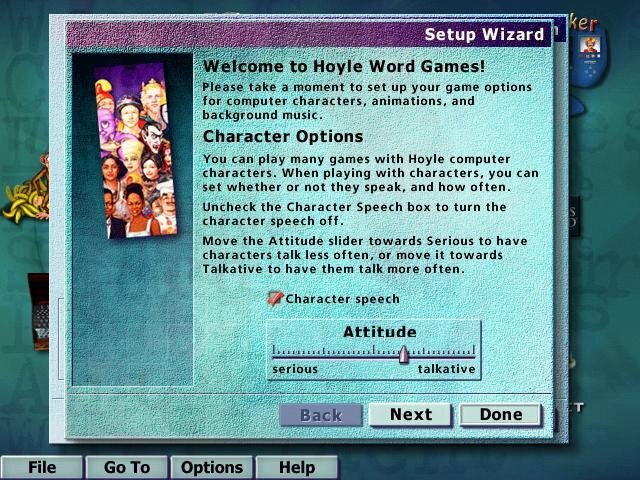 Hoyle Word Games includes 8 games of variable quality. The Scrabble-like DoubleCross and Yahtzee-derivative Word Yacht are both quite addictive and clever. 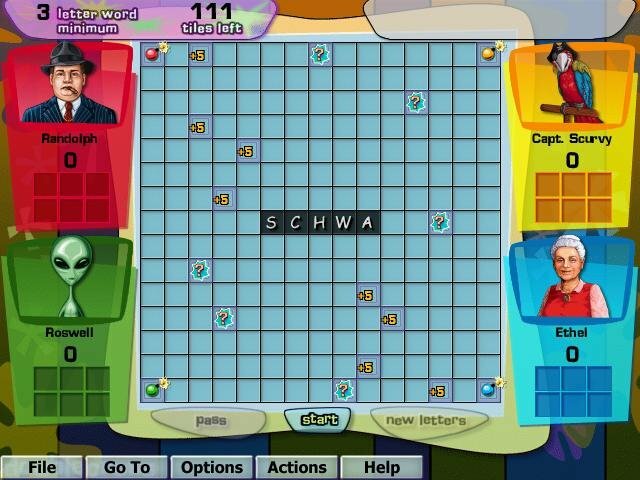 Unlike its forefather, DoubleCross allows for the placement of incomplete words, allowing the player to strategically block opponent moves. 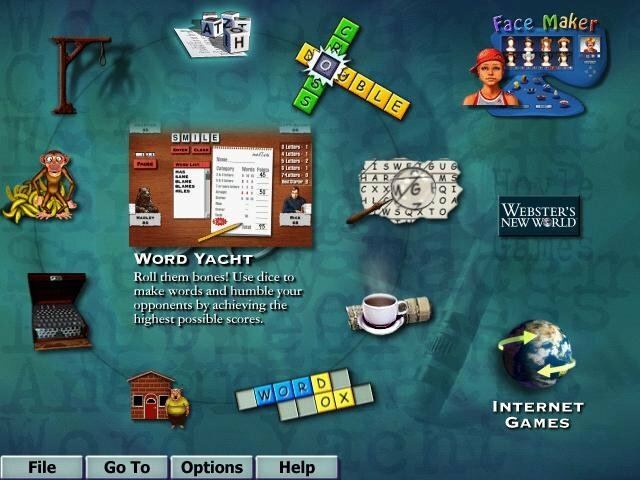 Word Yacht provides the player with 10 Boggle-esqe cubes which to form words meeting a variety of scoring criteria. 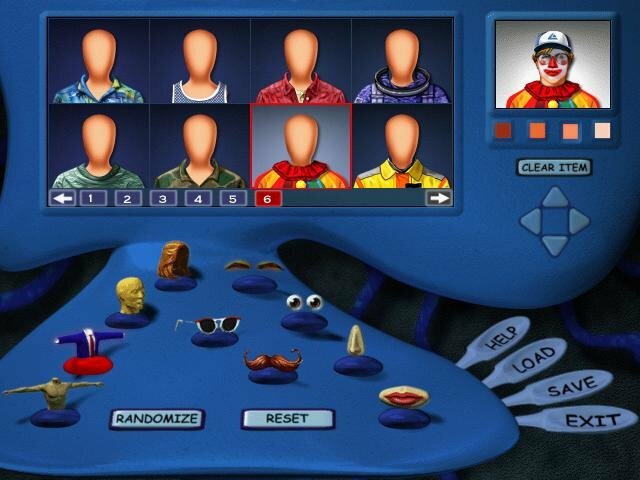 None of the remaining six games are a lot more entertaining than the included utility used to create screen personas. 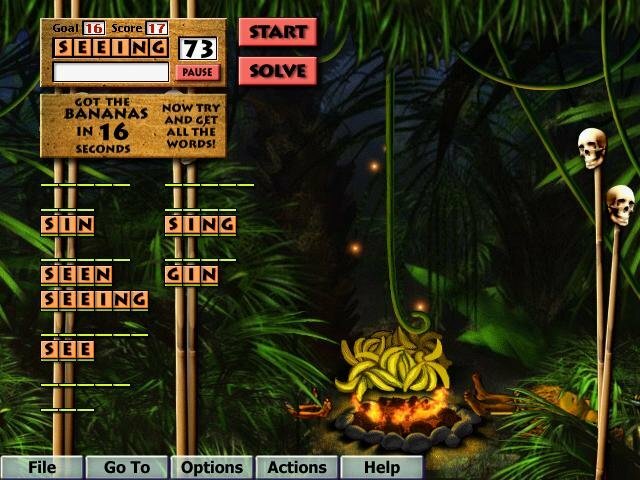 Anagrams has the player finding as many words in six letters as possible during a limited amount of time. 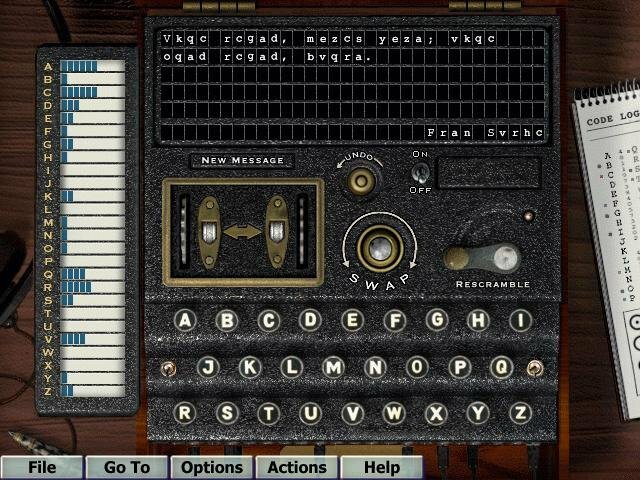 Enigma adds a nifty letter-swapper to the traditional cipher puzzle. 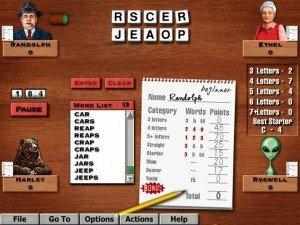 Speedy Racer would actually be quite useful in teaching touch-typing; those already skilled will take a pass. 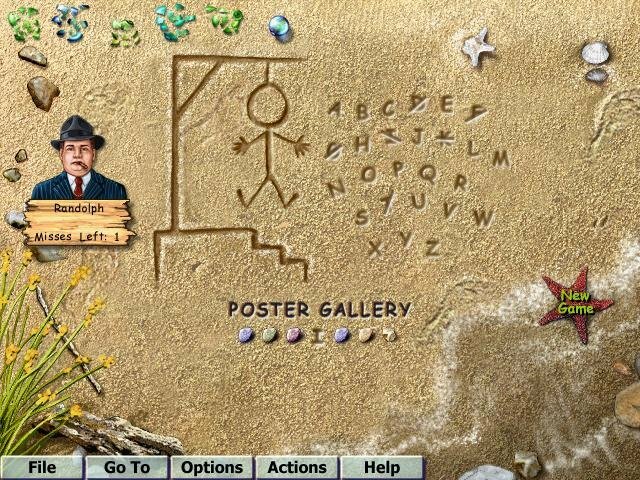 Hangman adds a game-show atmosphere along the traditional sunny beach backdrop; Word Searches and Crosswords have little to recommend them beyond their paper print counterparts. The interface is attractive and generally easy to use, familiar to those accustomed to earlier Hoyle offerings, and yet refined. 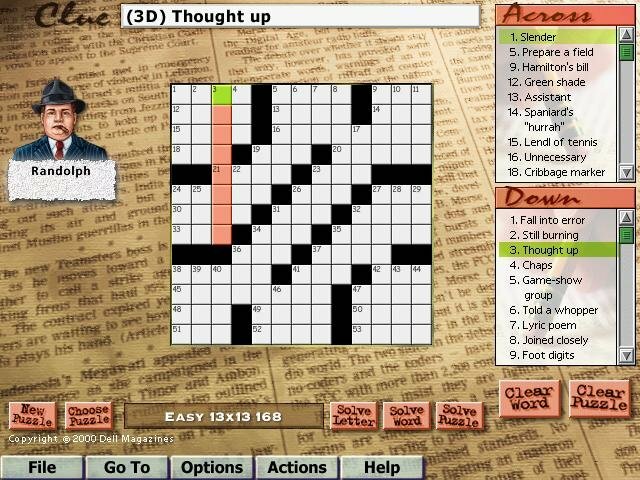 Minor complaints go to DoubleCross, which at times requires the player to spell words backwards (and the undo only retracts the most recent letter placed), and Crossword, where entering vertical words is hampered by a cursor that automatically moves one square to the right after entering a letter. High scores are maintained for each player and each game. 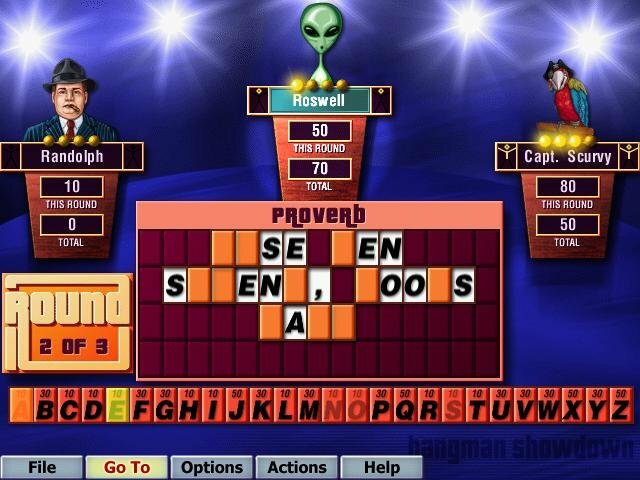 You also get a built-in dictionary that you can consult both on and off games. 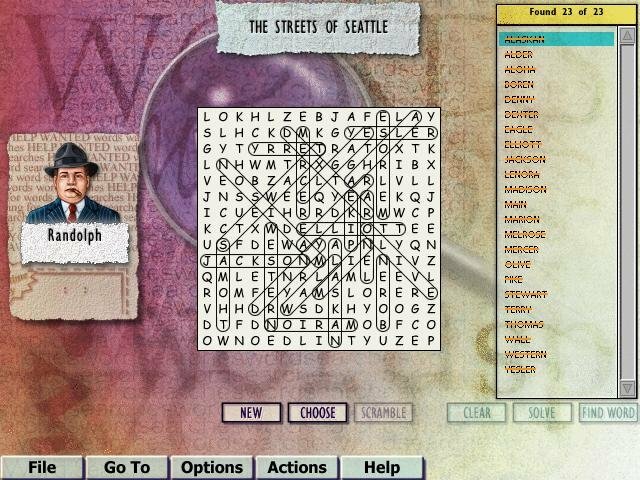 Hoyle Word Games might not have the convenience of the paper magazines but it does have its moments. Whether two or three terrific games among eight are worth the price of admission depends on how much you value these sort of games. Most of what’s here should keep you entertained for the quick coffee break, and everything else should keep the kids busy as well. hi i used to play on a online hoyle sierra site playing with real people…it was a great american site and loads of people miss it ,we had great fun with tourneys in most games ect…would it ever come back.